Time is defenetly wrong. Not even the MTM S3 does 0-100 in 5.3sec. @hayes. Good point - well presented. Should have written Z4. Further to previous post....took S3 on Silverstone track day for two 30 minute sessions (admittedly novice sessions), and no car passed me except for race tuned Lotus Exige. List of some of the cars overtaken: Porsche 911, BMW M3, BMW 135 M Sport, Golf R32, BMW 6 series, BMW 330i, BMW Z6, Audi TT + more. Quattro certainly gives a big advantage in corners (1st session semi wet, second session dry). Really pleased with the handling and performance. Have had one for 6 weeks now. Love it. 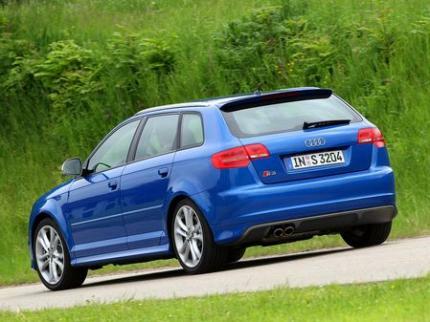 So far a Golf R32 and BMW 335i have tried to outperform it, and fail! And I can still get my drums and a PA in the back. @BumRush - I own an S3 Sportback and it's about 0.5 second slower to 100 than the 2 door. 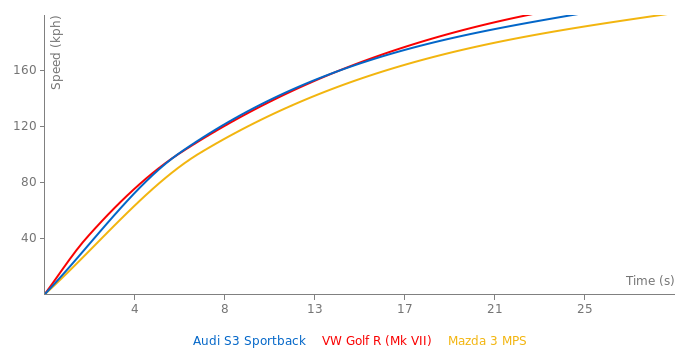 In Johannesburg, South Africa, the Sportback was tested by 3 publications and the best 0-62mph they achieved was 6.9s. The S3 is also detuned to 188Kw (255hp). hence the slower time. A chip will easily improve the acceleration to 5.9 at Johannesburg altitude, 1753m/5751 ft, above sea level. anon - for fun and because we can!! As posted by Georg on the forum, the 5.3 time is from http://www.autozeitung.de/vergleichstest/kompaktsportler&show=einleitung-karosserie. Thanks, Georg. why would you even race a stock S3 vs a C4S??? like you didnt know what the outcome would be!